Transportation for Hinds Feet Ministries by Hinds Feet Ministries, Inc.
Hinds Feet Ministries, Inc. hasn't added a story. Hinds Feet Ministries needs your help to purchase reliable, safe transportation for our workers in Monrovia, Liberia. Hinds Feet is a faith-based non-profit headquartered in Reston, VA. Our focus is primarily on serving underprivileged youth in Liberia through education, skills training and Christian evangelism. Reliable transportation is a long-standing need of our ministry. Due to the recent Ebola health crisis, this need is now critical. Our dedicated workers are at great risk traveling on crowded public buses and in small taxis. We are asking for your help. Our goal is to purchase a 15-passenger van by March 2015. Please help us achieve this goal by making a financial donation. We are grateful for any amount. Your financial gifts are U.S. tax-deductible and will make a difference in the lives of many. Any funds received above the cost of the vehicle will go towards the ongoing costs of the ministry. 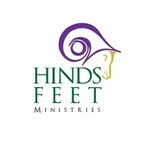 For more information about the Hinds Feet, please visit Hinds Feet Ministries. It is through prayer and financial support of donors that Hinds Feet continues to deliver educational resources to 240 school age children, even in this challenging time. If you wish to contribute to precautionary supplies such as bleach, gloves, hand sanitizer, anti-bacterial soap and wipes, non-touch thermometers, shoes for children, or our many services, please visit http://hindsfeetministries.org/services/. Hinds Feet Ministries, Inc. hasn't posted any updates yet. Hinds Feet Ministries, Inc. is managing the funds for this campaign. Hinds Feet Ministries, Inc. is a verified organization.